When The Importance of Being Earnest opened at London’s St. James’ Theatre on St. Valentine’s Day, 1895, its author Oscar Wilde was at the peak of his powers and popularity as a wit and dramatist; late Victorian England, of whose social conventions Wilde was a keen and caustic critic, seemed to be at the height of its prestige as the mother-country of the greatest empire the world had ever seen. Behind the facades of national might and authorial success, however, were different realities, and it is this ironic disparity that lies at the heart of Wilde’s great comedy-of-manners. Wilde once remarked that Earnest was “a trivial comedy for serious people.” The play’s two heroes, Jack and Algernon, are both faced with the problem of living up to society’s demands for propriety while trying to be authentically who they are; both have devised means for living a masked life that allows them to pursue personal happiness without jeopardizing their social obligations. In opposition to their pleasant schemes are equally determined women intent on their own plans for a balance between conformity and fulfillment. Through a plot of mistaken identities and sudden turns of events, Wilde strings together a sparkling necklace of satire, epigrams, and verbal barbs that have made this farce one of the most oft-quoted plays in the English language. 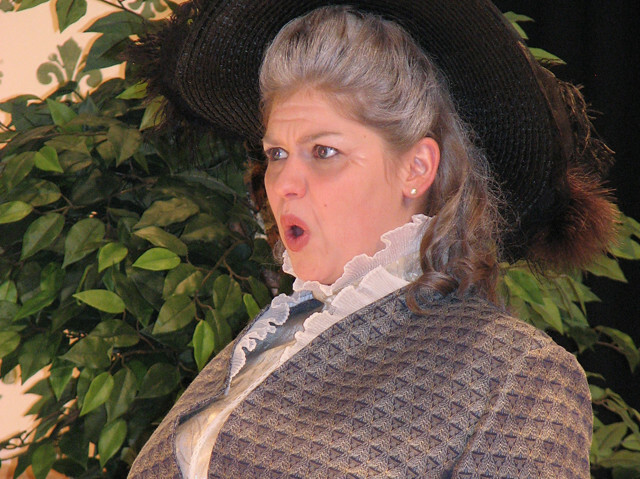 Some biographers and critics have seen in The Importance of Being Earnest the last bright flare of Victorian charm before the lights went out for Europe in the cataclysm of World War I; others see the comedy as Wilde’s lighthearted bulwark against the disorder of his own personal life, which dissolved his success in a bitter sea of scandal within months of the play’s opening in 1895. 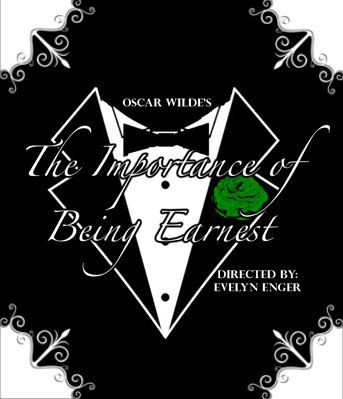 Whatever its significance to English society and Oscar Wilde’s artistic reputation, Earnest remains one of the most popular comedic works for the stage. At least eight Broadway revivals have confirmed its attraction for audiences. A highly successful film version starring Michael Redgrave, Joan Greenwood, and Edith Evans appeared in 1952, and in 2002, an elegant remake garnered considera ble critical praise, due largely to the playful performances of Rupert Everett and Colin Firth in the roles of Algernon and Jack, Reese Witherspoon and Frances O’Connor as Cecily and Gwendolen, and veteran character actors Judi Dench, Tom Wilkinson, and Anna Massey as Lady Bracknell, Dr. Chasuble, and Miss Prism. The longevity of Earnest’s appeal may best be explained by the way the play makes us recognize universal human frailties and foibles. So long as our species sets great stock in social status and worships at the shrine of respectable appearances, so long as we secretly yearn to flee our responsibilities once in a while, and so long as we wish that we always had the right quip or wisecrack at our tongues’ tips to puncture the snobbery and pomposity that surround us, this bright nonsensical comedy will not lack for admirers or defenders. Thanks, Mr. Wilde.